12-Pack Absorbent Kitchen Towels Just $14.99! Down From $35! Here is another amazing deal from Amazon! 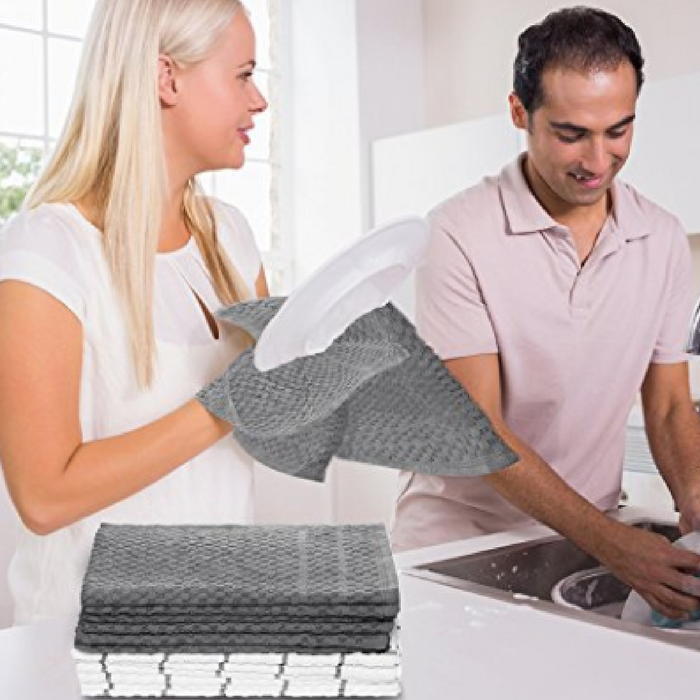 Get this Royal 12-Pack Absorbent Kitchen Towels for just $14.99, down from $34.99 PLUS FREE shipping with Amazon Prime and for orders $25 or more! Go paperless and save more money with the Royal 12-Pack Absorbent Kitchen Towels! This bundle of white, 31” by 31” flour sack towels can be used for a wide range of tasks. They make expert dish towels, window cleaners, dust clothes, cheese strainers, salad spinners, stain removers, cloth diapers, and much more. The possibilities seem to be endless with Royal 12-Pack Absorbent Kitchen Towels. From window cleaners to salad spinners, these towels are deliberately designed to serve you with the best household solution. It’s like having a magic wand in your hands. Play around and get your day-to-day tasks done easily without any hassle! MULTIPURPOSE AND VERSATILE: These hardworking towels are great in both your home or business; use for drying, wiping, cleaning, or dusting; fun for crafting projects such as needlepoint. or can double as everyday cloth napkins. The uses are endless! Royal Kitchen Towels 12-Pack Just $13.57! Down From $29.99! Enjoy this very nice deal that you can get at Amazon! Score this Royal Kitchen Towels 12-Pack for just $13.57 down from $29.99 PLUS FREE shipping with Amazon Prime or for orders over $25! Save money on paper towels! This Royal Kitchen Towels are made from 100% cotton making them strong and durable and can stand up to any household job. They are soft and plush enough to never scratch your fine dishwater, silverware, pots or pans. These towels are designed with Dobby weave which made them lightweight and highly absorbent and also dries quickly to prevent the build-up of bacteria and mildew. They are perfect for daily use. Royal Kitchen Towels are also easy to clean and are machine washable and dryer safe. They stand up to multiple washings too! Plus, these easy-care towels make a great hostess, housewarming or welcome gift. Royal 15-Piece Kitchen Towels Just $10.99! Down From $30! 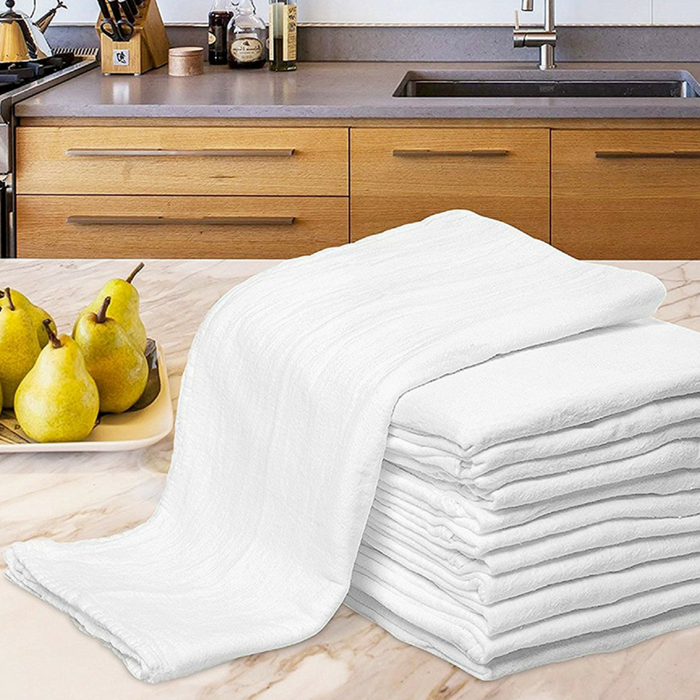 At Amazon, you can score this Royal 15-Piece White Kitchen Towels for just $10.99 down from $29.99 PLUS FREE shipping with Amazon Prime or for orders $25 or more! These 100% Natural Cotton Dish Towels are built to last long with strong, durable fibers and won’t scratch your fine silverware, plates, pots, or pans. These dish cloth sets have been through countless hours of testing so no messy job is a challenge for the Royal Classic Kitchen Towels! With a unique Herringbone weave, these tea towels are lightweight, super absorbent and dry quickly for less risk of mildew and bacterial build-up. The Royal Classic Kitchen Towels are Lint-Free unlike other kitchen towels on the market and absorb fluids quickly and efficiently for any tasks. 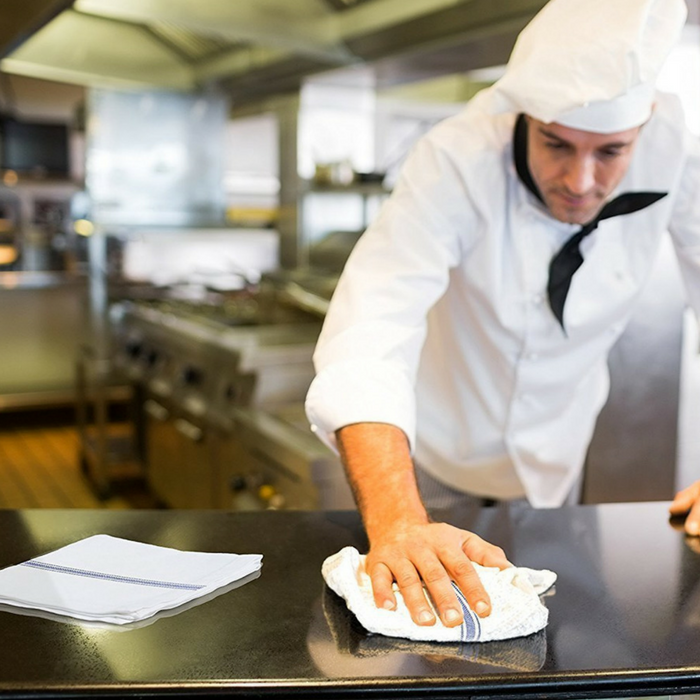 VALUE PACK – 15-pack ensures you have plenty of towels at hand for cooking and cleaning needs in restaurants, kitchens, dinner tables, or just about anywhere in home where spills are common! With a convenient size of 14 x 25 inches and an elegant Pure White Fabric, any cleaning enthusiast can handle these towels with ease. The Royal Classic Kitchen Towels come sealed in a Polybag. TROUBLE-FREE CARE – Machine washable and dry-able. Manufactured to minimize lint and resist any shrinkage. You can use these towels over and over again, saving money on paper towels.